Sydney FC‘s first home game of the season against Newcastle Jets was a fixture that I think everyone in the competition was looking forward to, regardless of your allegiance to either club. The arrival of Alessandro Del Piero lifted the attendance at the game massively, drawing over 30,000 people at Allianz Stadium to see him in action against the Jets. There was plenty of pre-match hype and build up focused on the two marquee players – Del Piero for Sydney and Heskey for the Jets – and the game delivered the goods. Both men scored in a scrappy but entertaining goal-fest that finished 3-2 to Newcastle. Del Piero’s goal will go down as a classic A-League moment. After being fouled on the edge of the penalty area, Del Piero stepped up to take the free kick. Those in the stadium held their collective breath and Del Piero gave the crowd what they came to see. He curled his free kick over the wall and past Jet’s keeper Ben Kennedy to score his first ever A-League goal in his first home game. Emile Heskey would go on to score an opportunistic goal ten minutes later and ultimately Newcastle would hold on to win 3-2. 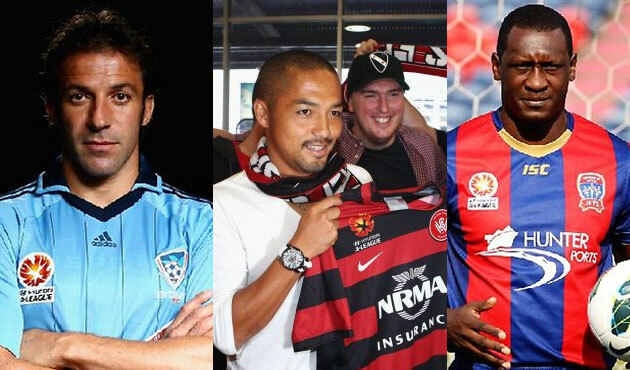 There’s no denying Del Piero’s quality but equally, I don’t know how much more Sydney can hope to improve. The club and their players insist that they need some time to gel as a team but I think there’s no getting past the fact that most of their squad are pretty dreadful. They’re seemingly unable to string more than 3 passes together and watching their movement on the field, I have no idea what their strategy is. There’s no high press, there’s no possession game, there’s no width. There’s not much of anything really. Brisbane Roar got their title defence back on track after last week’s loss with a resounding 5-0 thrashing of Melbourne Victory in a game where they probably could’ve reached double figures and were unlucky to have two goals disallowed. It was a humiliating return to Suncorp Stadium for former coach Ange Postecoglou who lead the Roar to the previous two titles but has since not done much to ingratiate himself with the fans. Firstly, he told the fans ‘let’s go for a third title!’ when they won the Grand Final before announcing he was leaving the club less than 24 hours later. After the 5-0 drubbing, Postecoglou gave no acknowledgement to the Roar fans, gave new Roar coach Rado Vidosic a disingenuous handshake where he avoided eye contact and then he literally ran out of the stadium (!). He followed this up with a hot tempered press conference where he cut all ties with the Roar and said he wanted nothing more to do with them. It’s a shame to see Ange act this way. He was someone I greatly admired and although his accolades and contributions to the club are immense, his recent actions have really soured his connection with the fans of the club. As for the game itself, this was the Roar on some of their finest form. Returning players Ivan Franjic and Massimo Murdocca made a massive difference to the cohesion of the squad and after dominating the opening twenty minutes of the game, the Victory survived one disallowed goal for Erik Paartalu before finally conceding the opener to Thomas Broich. Broich was in imperious form all night and after scoring his first goal of the season from a quick throw by Shane Stefanutto, his corner kick just a minute later set up Paartalu for the second goal of the night. 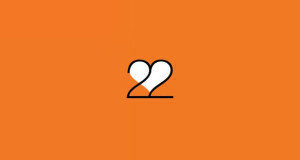 In the second half the game was effectively over as a contest as the Roar tightened the screws on a hapless Victory squad who were so bereft of talent that they started a teenage debutant who had never even played a game in the youth league. Rado Vidosic seemed to have the measure of Ange Postecoglou tactically. Ange seems to be trying to bring over a similar system that he made famous at the Roar by encouraging the Victory to play the ball out from the back. There also seemed to be clear instructions to press high on the Roar but under Rado’s guidance, the Roar seemed more willing to play the long ball and this directly lead to the third goal of the game when Michael Theo connected a fifty yard pass to Mitch Nichols who set it up on a platter for Besart Berisha to score his first goal of the season. One of the most exciting new talents for the Roar is Ben Halloran, a lightning fast midfielder who was signed from Gold Coast United. His style fits the mold of Massimo Murdocca and Henrique and he was an integral part of the engine room supplying chances for Berisha and Nichols up front. It’s only two weeks into the season but he already has the look and feel of a regular squad member. To be brutally honest, although the Roar were excellent, the Victory were also pretty bad. Their back four remains tissue-thin and easily broken. It will take some time for Ange to rebuild the Victory to the level they once were and to be honest, part of his challenge will be waiting out the contract expiry of the deadweight players he has in his squad. Aside from Flores, Rojas and Thompson, I don’t think there’s many other players he’ll be bothered with holding on to. The 5-0 thumping was the Victory’s worst ever defeat in the history of the competition and sends a warning shot out to the rest of the league. The Brisbane Roar are back. OI! 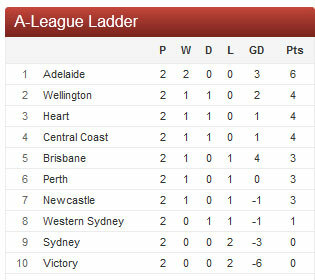 I think you’ll find the Phoenix drew 1-1 with Melbourne, with a bunch of academy players. Going to be a cracker of a game this Sunday, with all of our internationals back again. I think in the next few weeks we’ll get a better idea of whether Perth, Adelaide and Wellington can maintain a serious challenge for the title. 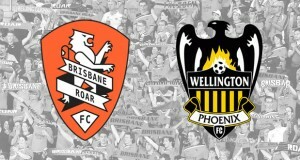 A home win for the Phoenix over the Roar would be a good start. Owen Wilson so hot right now!